Instantly detoxifies tap water and makes it safe for fish by removing heavy metals, chlorine and the more stubborn chloramine that is found in most tap water today. 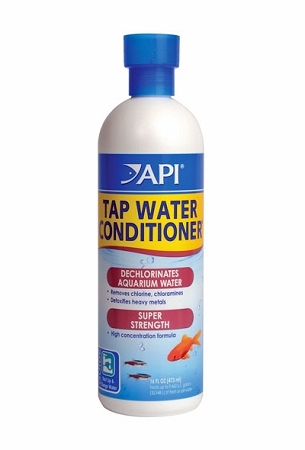 Treat all water going into the aquarium either during setup or additional water added during maintenance or topping off the aquarium. Q: Does this product remove all minerals from tap water making it usable for small fountain? A: Nothing to do with minerals. Strictly removes chlorine, chloramine, etc making tap water safe for fish. There is no additive that removes minerals from water. Only filtration such as a tap water filter will do that. You can however remove these minerals from the pump and other surfaces using a solution of 50/50 water and vinegar. You can also just soak the pump in this solution to remove minerals.